Northern Oregon Area's True "Home Page"
Northern Oregon real estate, Northern Oregon lodging, businesses and a variety of attractions & activities throughout the wonderful Northern Oregon area and the Northern Oregon Coast. Northern Oregon is the perfect place to live and raise a family. From the scenic waterfalls to high desert region, you'll find it all in Northern Oregon. White water rafting, fishing, and an abundance of natural attractions as well as cultural activities provide a variety of things to do and see. Need More Exposure To Your Existing Website? List your website in our directory designed to help and promote the entire Northern Oregon Community. Ask about our "Banner ADs" and how we can help drive more visitors to your website. See our AD RATES & Information page. 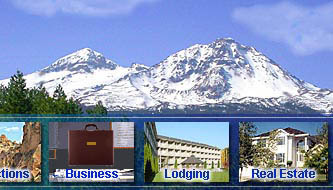 We feature Northern Oregon real estate directory & business and lodging sections. North Oregon, Northwest Oregon attractions pages covers Portland, Salem, Oregon City, Eugene, Baker City, John Day, Willamette Valley, Pacific Northwest and all of Northern Oregon. Northern Oregon's complete "web site" directory is committed to promoting real estate, lodging, businesses and attractions in our area of North Oregon. Featuring: Northern Oregon Lodging Directory, Northern Oregon Real Estate Directory, Northern Oregon Businesses Directory, Northern Oregon Attractions Directory.